The North Fork of the Feather River has gone through many flushes throughout this year. Flushes that raise the flows from zero to a hundred can have a huge impact on the fishing if you don't plan your trip accordingly. For that reason in addition to high flowing tributaries from the recent rain, this visit to the North Fork was pretty tough. My first stop was in Pulga. It has been over a year since I've fished this section of the NF. A lot of new no trespassing and slow down for children signs have been added to the road; however, I didn't have any problems accessing the NF from the usual location. The water was low and cold which was a good sign. I hit my usual holes and was able to land two nice trout from this section. 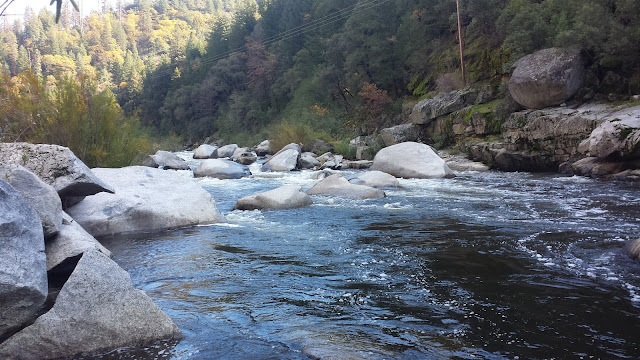 The rocks and plants were super slippery and after a painful slip I decided not to venture any further downstream. The next stop I wanted to try for the first time was the small stretch at the Cresta rest-stop. 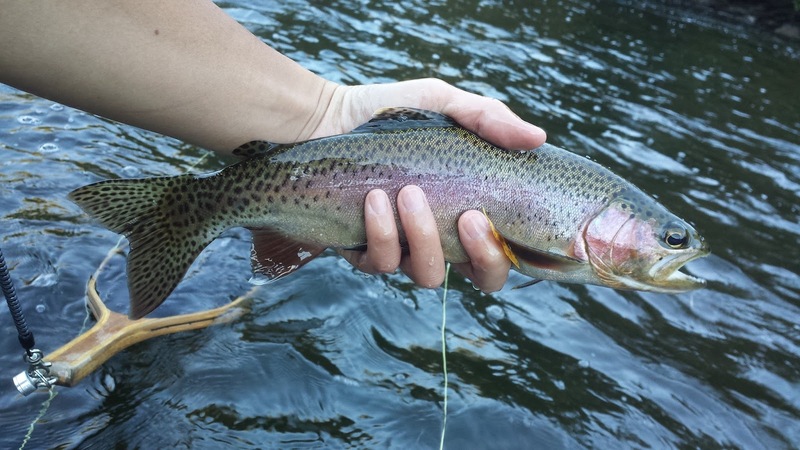 As I worked my way downstream I quick-released two smaller trout. The canyon was a bit windier than I would have liked for tight-line nymphing so I had to put on an indicator for the deeper sections. As I drove further upstream I found the NF too high to fish. Last year and the year before was much better in terms of flows. 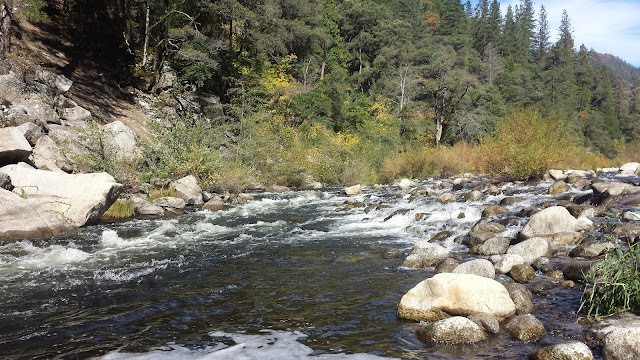 I'm thinking flows below 300 CFS would be better to fish from the section between Rock Creek Dam to Grizzly Creek. Zebra midges were the only flies that the fish seem to be keying on. The NF can be a hit-and-a-miss but if you hit it just right the fishing can be incredible. Unfortunately this year wasn't the best for the NF.